Islamabad : A number of bombings on political rallies over the past one week have shattered peace in Pakistan ahead of the July 25 polls, with the latest in the string being a devastating suicide attack in Balochistan on Friday that killed at least 132 people. Amid intensified election campaigning, attacks in different areas of the country have stoked fear of more violence. 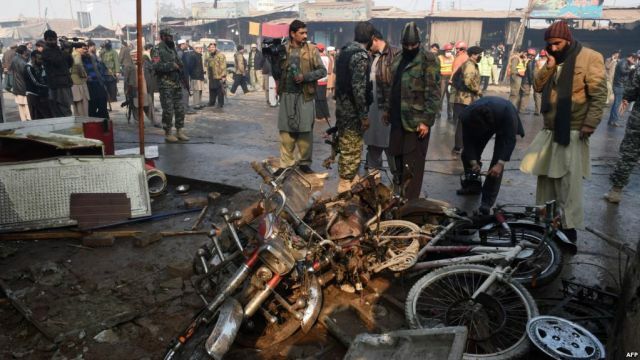 Provincial authorities said the suicide bomber on Friday detonated in the middle of a compound in Mastung’s Darengarh area where a political meeting was in progress. The federal government has declared Sunday as a day of national mourning over the attacks in Balochistan and Khyber-Pakhtunkhwa. The attack in Khyber-Pakhtunkhwa on Friday left four dead and nearly 40 injured. 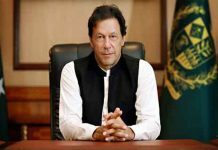 “In view of tragic incidents of terrorist attacks at Peshawar on July 10 and in Mastung and Bannu on July 13, the government has announced to observe one-day official mourning throughout the country on Sunday,” said an official announcement by the Prime Minister’s Office on Saturday. It said that the national flag will fly at half mast on Sunday to mourn the deaths of nearly 150 people in the recent terrorist attacks ahead of the general elections. The National Counter Terrorism Authority (Nacta) had on July 9 named six politicians, including Pakistan Tehreek-e-Insaf (PTI), Awami National Party (ANP) and Qaumi Watan Party (QWP) chiefs, who face terrorist attack threats. On July 10, ANP candidate from Peshawar, Haroon Bilour, and 19 others were killed in an attack targeting the party’s election meeting. On July 13, the convoy of Muttahida Majlis-i-Amal (MMA) candidate from Bannu came under attack. While former Khyber-Pakhtunkhwa Chief Minister Akram Khan Durrani, who had also been named in the Nacta list, remained safe in the attack, four of his supporters lost their lives. Later in the afternoon, a powerful bomb blast targeted a meeting of Balochistan Awami Party (BAP) candidate Siraj Raisani. Raisani and at least 131 others were killed in the attack while over 200 were injured. The Mastung attack was the most lethal since Taliban militants assaulted Army Public School Peshawar in December 2014, that stunned the nation. The election commission has summoned a briefing from Nacta over the worsening security situation. Meanwhile, political parties have demanded better security to ensure they can freely conduct their election campaigns. The fresh spate of violence has sparked strong condemnations from various quarters in the country and worldwide. The European Union condemned the deadly blast and urged for swift justice for the victims. 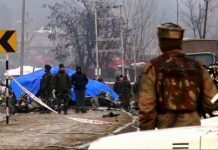 Pakistan Army chief General Qamar Javed Bajwa expressed sorrow over the loss of innocent lives and vowed that attempts of inimical forces to derail important democratic activity shall not succeed. PTI chief Imran Khan said he would be flying to Mastung on the first opportunity. The July 25 election features dozens of parties, with two main contenders: Ex-cricket hero Imran Khan’s PTI and the Pakistan Muslim League-Nawaz, which vows to win a second term despite the jailing of founder Nawaz Sharif on corruption charges. 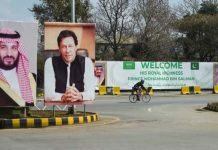 The election campaign was relatively peaceful until this week, compared to frequent attacks during 2013 elections mostly claimed by the Pakistani Taliban.